In Berlin, for instance, you can get a view of the city from above (and for free) in the Reichstag and (for an entry fee) from the Fernsehturm  – the TV tower. And they are two of the most visited spots of the city. 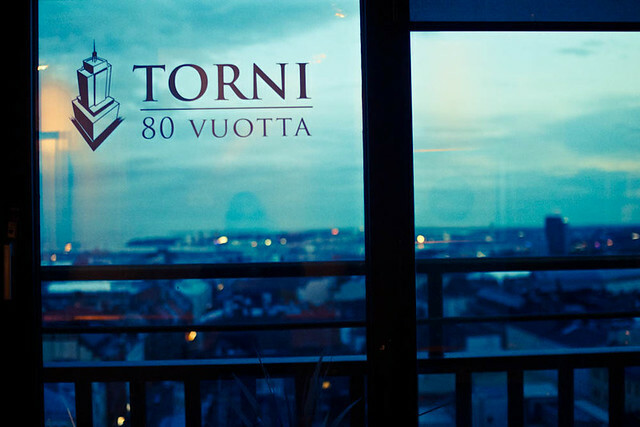 In Stockholm I also went to the Gondolen Restaurant , an attic-bar, to check out the city from above – don’t forget to try its cocktails. But what about Helsinki? 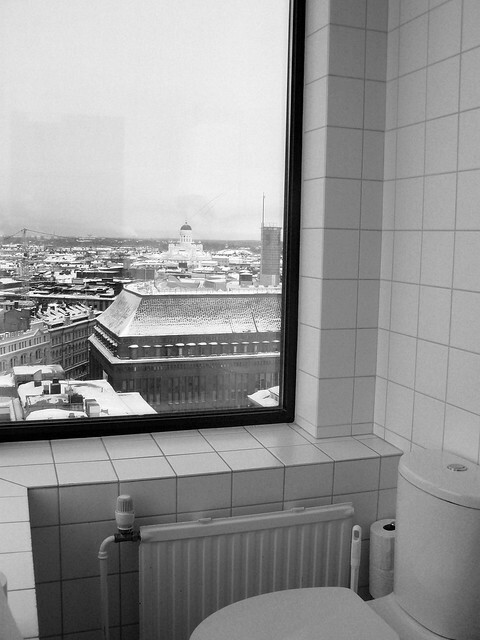 You go to the Ateljee Bar… and its toilets. 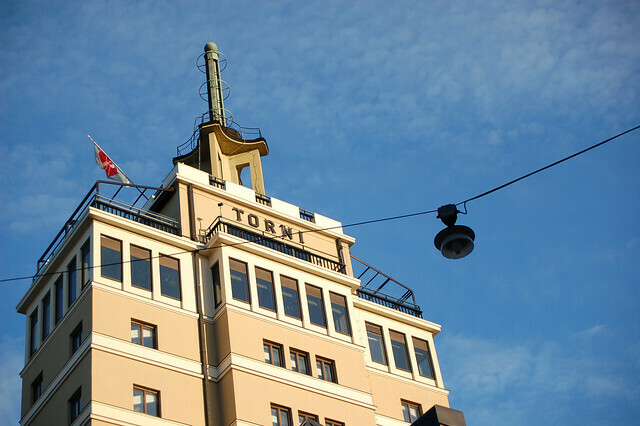 The top floor of the Torni Hotel contains the Ateljee Bar. Source(CC:by-nd) . 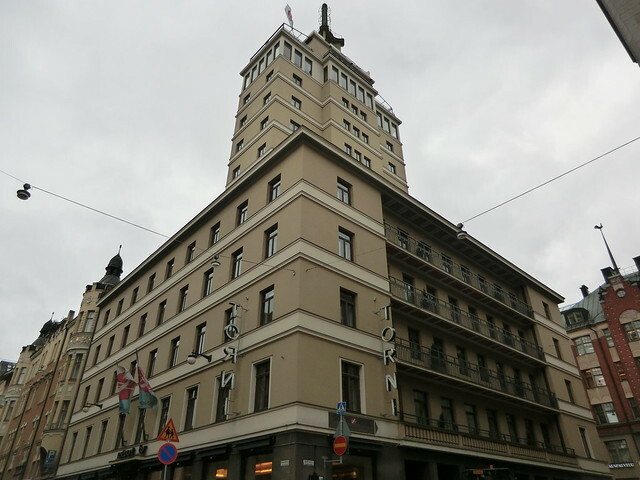 The Ateljee Bar (Official Website ) is divided into two rooftops that each have a panoramic view of Helsinki. 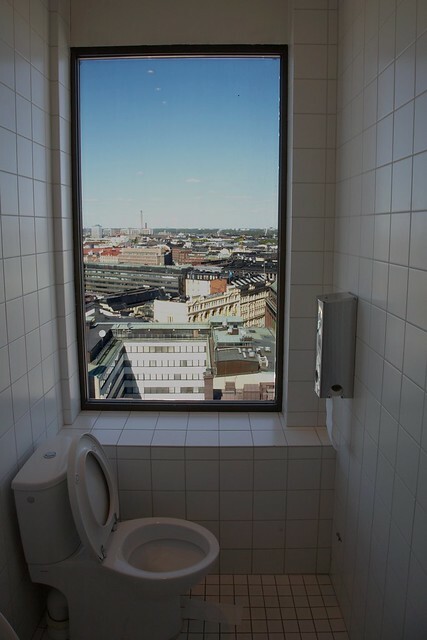 This photo has been taken there and you can see a lot of Helsinki from it; for instance, the iconic White Cathedral of Helsinki . See in different sizes. Source (CC: by-sa) .